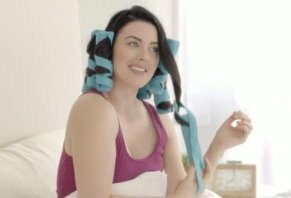 Sleep Styler Reviews - Is it a Scam or Legit? 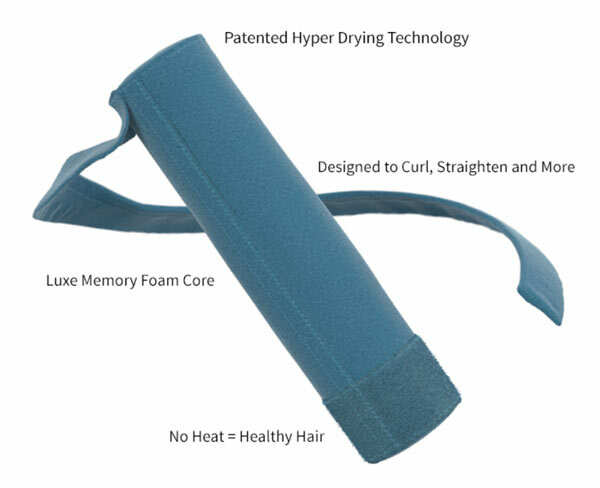 Endorsed by Shark Tank’s Lori Greiner, the Sleep Styler hair styling system uses patented super-absorbent heat-free rollers that promise to deliver gorgeous, wavy, curly hair while you sleep, with virtually no effort. The product’s website indicates you just wrap your damp hair around each Sleep Styler roller, fasten the strap to hold your hair in place, get your beauty sleep, and wake up and unwrap. Whether your hair is long or short, thick or thin, or straight or curly, the manufacturer tells us Sleep Styler will leave you with bombshell curls, while saving you an hour of styling time in the process. You can even straighten your hair if you choose. And compared to the competition, Sleep Styler claims to feature a marshmallow soft memory foam core to maximize your sleeping comfort, while the microfiber material holds four to five times is weight in water, so you'll wake up dry. What’s the bottom line about Sleep Styler? Can you expect it to perform as well as advertised, or will it provide limited usefulness for the money? Does it have any competition—and if so, how does Sleep Styler stack up? While we didn’t test Sleep Styler firsthand, we’re here to help you make a more informed decision by discussing everything we learned during our research. How Sleep Styler Works: Is It Right for You? Your hair is mostly made up of a protein called keratin, which is super strong due to its molecular hydrogen bonds, which stick together and form long, hardy filaments. While this strength helps prevent hair from damage and from easily falling out, it’s also what makes hair difficult to style. In fact, there are only two methods of weakening these hydrogen bonds: heat and water. Heat works by temporarily relaxing the hydrogen bonds in your hair, allowing it to take whatever shape you choose (straight, wavy, curly, etc.). Water also relaxes these bonds, but works by inserting itself between each protein molecule and weakening the ‘chain’ it helps create. Given this, Sleep Styler's core function works very similarly to a hot roller—it helps hold hair in place while the hydrogen bonds are weakened, allowing you to temporarily style it. But instead of heat, Sleep Styler uses water. And instead of hard plastic rollers, Sleep Styler's long individual wraps feature soft memory foam cores that act as a pillow, along with a microfiber exterior that soaks up moisture. Just hold the hair straight and flat against the roller and wrap. Short – 1.5-inch rollers best suited for hair that is between shoulder and mid-back length, or hair that is long and fine. According to their website, this version works similar to a traditional roller, with a “more robust curl” and additional texture. Long – Also 1.5 inches in diameter, but its longer design allows it to accommodate hair that is mid-back length or longer, or hair that is thick. Pro tip: If you’re on the fence, the manufacturer notes that your hair must be long enough to spiral around each soft roller several times (ideally, six inches long from the scalp). As mentioned, if your hair is long but fine and struggles to hold a curl, the company notes that Short might be a better choice. Either way, they emphasize that if your hair doesn't hold a curl with traditional hot styling tools, Sleep Styler might not be a viable option. What will you pay for this different way of curling your hair? How Much Does Sleep Styler Cost? One Sleep Styler set is priced at $29.95, plus $4.95 S&H. If you live in NY, CT, CA, or NV, you’ll also be charged sales tax. The Long version includes eight 6-inch rollers, while Short includes twelve 3-inch rollers. Regardless of which version you purchase, Sleep Styler comes with a 30-day money back guarantee, less S&H. In order to request one, you’ll need to call Allstar Products Group’s customer support at (800) 360-9621. Sleep Styler got its start in a July 2016 Kickstarter campaign, where it raised nearly $47K on an original goal of $10K. After this success, inventor Tara Brown debuted Sleep Styler on season 8, episode 19 of Shark Tank, where Shark Lori Greiner quickly made a $75K deal for a 25% stake in the company. Although Lori is closely associated with QVC, it appears that ASOTV giant Allstar Products Group is currently selling Sleep Styler direct to consumers. Are There Other Products Like Sleep Styler? While Sleep Styler might currently be a unique product, typing the phrases “magic hair curlers,” “twist curlers,” “ringlet curlers,” “foam curlers,” and “soft curlers” into any search engine will reveal that there are many different options competing in a similar space (to reiterate, we didn’t test any of these firsthand). Granted, most of these function differently than Sleep Styler, although depending on your hair type and the version you choose, they might provide meaningfully similar results. However, what you won’t get with many of these options is the microfiber exterior and soft foam interior, so they might not be as comfortable when worn overnight. On the flip side, some of these competitors could be found for as little as $9 at the time of our research, so it might be a case of choosing between comfort and savings. Speaking of choices, where does all of this leave you when it comes to Sleep Styler? Anyone who’s left a ponytail or braid in their hair overnight—especially if it was wet—knows that it can add a ton of body the following day. But without any customer feedback at the time of our research, it’s difficult to know exactly how well Sleep Styler will work, and for whom it might deliver the best results. But based on what we learned on the product’s website, your hair needs to be at least six inches long from the scalp. And if you’re looking for the ultra-tight results that competing for ringlet curlers can provide, Sleep Styler’s thicker 1.5-inch core might leave you will wider and more relaxed results. Furthermore, while Sleep Styler’s foam core could help deliver additional comfort compared to traditional unheated rollers, we’d have to wonder just how comfortable they would be to wear throughout the night. And even if they were pleasant, it might not be ideal for those who prefer to sleep on their side. Given this, it might be the case that Sleep Styler can help you “achieve amazing styles,” as claimed on their website, so long as your intended style involves curls or waves. Pro tip: Based on what we learned from WikiHow, Sleep Styler probably wouldn’t straighten hair, as much as it might turn curly or course hair wavy. In other words, it appears Sleep Styler is geared toward those who want curly waves, regardless of starting hair type. Finally, while heat can cause a greater degree of damage to hair in less time than water, the fact of the matter is that doing anything to your locks—including brushing them or putting them into a ponytail—will cause some degree of damage. Remember, moisture weakens hydrogen bonds. As a result, Paradi Mirmirani, MD, a staff dermatologist at the Permanente Medical Group in Vallejo, CA, notes that wet hair is more fragile. Self Magazine explains that this means even towel drying can damage your hair’s cuticles. Taken together, just by wetting your hair, whether for cleaning or styling, you’re potentially causing damage. As such, while Sleep Styler might have a propensity to cause less damage than traditional methods like blow-drying and hot curling, it might be unreasonable to think that it won’t cause any damage whatsoever. If you give Sleep Styler a try and aren’t satisfied with the results, though, Allstar Products seems to stand behind it with a 30-day refund policy. Just keep in mind that you’ll lose the original $4.95 S&H, plus whatever it will cost to send your styling set back to the manufacturer. I bought these for my daughter as a Christmas gift. We did exactly as it said. It didn't work. I watched multiple videos, tried what THEY said, and it didn't work. It never curled her hair no matter what we did. Waste of time and waste of money. I could have gotten curlers for half the cost of these that would have worked better. I figured if Shark Tank approved them they would have been good. It's too bad you can't leave half a star rating. Can’t believe it is Shark Tank endorsed. It does not work. Very awkward to put on. They flip over. Maybe if used with a gel or setting lotion. Waste of time. Waste of money. And even worse, waste of a sleepless night. I purchased it at Walmart and am going to return this. I have seen foam rollers at Sally’s that probably work better than this. I got the big rollers since I have long hair. They are the most uncomfortable things I've ever felt. They were said to feel like marshmallows, well, only if they are 10-year-old marshmallows that are literally hard as rocks! They are impossible to sleep in. One of the worst products ever! I purchased this item after seeing it on Shark Tank and paid $46 for it in March 2017. I didn't receive the item until the end of June 2017. I was very busy with my business in the summer and didn't get to try it until August of 2017. At which time it made me look like a drowned rat. IT DOES NOT WORK. I tried it several different ways, and it is just trash. Anyway, so I reach out to them to return it. I have to pay shipping to send it back to them, but they will refund me when it returns. Lame, but fine. So I get around to shipping it back October 2017. I check my credit card statement in January 2018 to see if they ever refunded me and they hadn't! So, I reach out to them and they give me the run around ("we can't find you or your order"), so I gave them all the order confirmations I had. "What was the address we shipped too?" So I gave them that (this was like 10 emails BTW). "What was the tracking back to us?" So I send them tracking with proof it was delivered. Then they tell me they cannot refund me because it's too late now. THEY have the product. I paid for shipping being told I would get refunded when it was returned. They completely lied to me, and then tried to play me off by ignoring me, and giving me the run around about not being able to find me in the system. Obviously, just lies to try to get me to forget about it. Now I see all these terrible reviews online, and you can find it for like $10 because it's a garbage product. That's probably why you cannot review it on Facebook. Shame on them for their terrible products and treatment of customers. My friend brought these to our sleepover, and we were hoping for a fun spa night. She put them in my hair (both of our hair is long, but she had the short ones) and immediately they sagged and felt like they weighed ten pounds on my head. Not comfortable. She seemed to have no problem with hers (she had long, thick, and super wavy dark hair), and my hair is brown, down to my mid back and I’d say it’s pretty thick. Before bed one of the stylers fell out completely and had to be put in again in my hair. We went to bed. I woke up in discomfort the next morning. One of the stylers has fallen out in my sleep, and my hair feels heavy and uncomfortable. I can say that I had no trouble falling asleep that night as they were pretty soft. I took out the curlers and was disappointed. I had slight curls, it was a little wavy, but it looked pretty I guess. Not what I was wanting. My friend's hair, however, had very beautiful and big curls, and it looked really good. Our hair was slightly damp when we put it in the curlers. I had wanted to put them in earlier because I knew my hair dried quickly but hers wasn’t close yet and she wanted to put them in at the same time so that could have been part of the issue. I was disappointed and was hoping for some better results. So I guess I would recommend this to a friend, if this friend was the one I was with. I have shoulder length hair, so I purchased the mini rollers. Made in China. First disappointment. The strip to hold the roller in place is too long. There is no way these rollers would stay in unless I missed the box of magic glue. And the strip was a different length on all of the rollers. I spent 40 minutes trying to put these in, and they kept falling out. No way they would stay put while I slept. Lori and Tara obviously cut costs and quality and made this product useless. My only complaint about the product is that I need 16 rollers instead of the 12 in the mini. This defeats the purpose because you need to put more hair in the roller which makes if "wobblier." I would be glad to pay up to an extra $5. I have a very sensitive scalp and fine hair; this is the first product I found to be comfortable enough to sleep in. I ordered these weeks after the Shark Tank episode. I waited over 8 weeks. So disappointed in the use (took hours to figure out) and the outcome, which was bad. They weigh a lot once put in and deliver nothing much to write about. Waste of money! I was really excited to receive my Sleep Styler curlers as I had watched the video on Shark Tank and read their advertisements. Unfortunately, I failed to read any reviews of those who had purchased them. I was imagining a curler I could sleep in comfortably, that would dry my hair and not damage it, and would create soft beautiful "beach wave curls!" The only thing that is true about this product is that it does not seem to damage your hair. I woke with my hair about as wet as when I went to sleep and had to blow dry it in the curlers. The curls looked great when I first took the curlers out but fell into nothing but a very slight wave (if at all) within the first hour. Believing that I must have made a mistake in setting my hair, I have tried them NUMEROUS times since I received them with the same results every time. I've sectioned my hair into thinner pieces, experimented with different degrees of wetness, more curlers, less curlers, all with the same results. I waited for over two months (probably near 3) to get these and am extremely disappointed. They aren't particularly comfortable, and they fall out while you are sleeping, do NOT dry your hair, and do not provide lasting curls as they claim. I would return them if I hadn't kept them beyond the 30-day trial. I wish I could find my order number to validate this purchase but cannot at this time. It may have been deleted from my mailbox. I assure you, I am a real and very disappointed customer. Since I can't return mine, I would like to at least prevent others from wasting their money on a falsely advertised product. I just received my rollers and tried them the first night I got them. When I was putting them in they kept falling down, so I had to adjust some of them. I have long hair and use sponge rollers all the time, and I never had that problem with them. I tossed and turned all night! I also left them in until 11:00 am before I took them out, and all I had was a little curl on the bottle of my ends. For the time it took me to put them in and the results I got I can get a better curl with my sponge roller, and they only cost me $10.00. For $39.99, they are not worth the price. Me and my daughter tried it. I have short hair, my daughter has hair that goes right beneath her shoulders (so I would say medium-long hair), and my daughter tried it, and they were so uncomfortable and like they felt like they weighed 10 pounds on your hair. It was so uncomfortable to sleep in. They say memory foam but it feels like rocks she said, and it took forever to fall asleep. When she got up, her curls were nice, but they went straight pretty fast. It says for your hair to be wet, but I would say just spray it with water, not too much though, or it won't curl and won't dry. I tried it the next day and it gave me a headache the whole night. I could barely fall asleep and when I woke up and took them out they didn't even leave curls! It gave bumps in my hair (and my daughters too), and I had to curl my hair because it didn't even do anything. I most likely wouldn't recommend this, and I am going to try to return it. Write a Review for Sleep Styler!